Morel mushroom is a delicious but expensive treat. Some people grow morel for personal consumption whole others do it for business. But what many people do not know is that morel hunting is a popular activity for those who love eating this kind of mushroom. Morels are widely available in many parts of the country during the springtime which is their typical growing season. 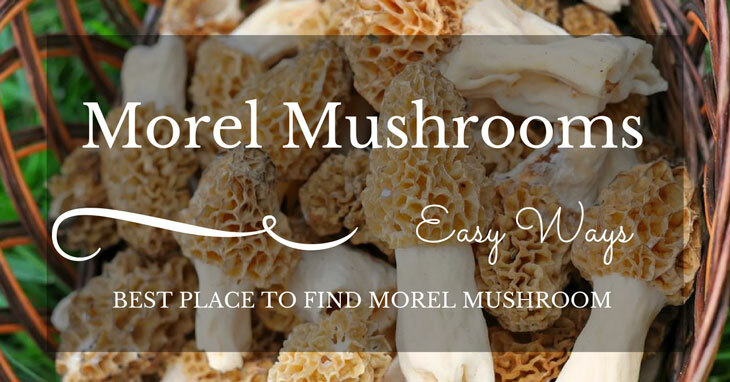 In this article, I will help you identify the best place to find morel mushrooms. Delicious and elusive, morels are a wonderful treat during springtime. Hunting for morels can be fun and challenging. Some people already make it a yearly tradition to go out in the woods to hunt for them. And like most hunters, they will not tell you the exact location where you can find morels. It is obviously their best-kept secret. 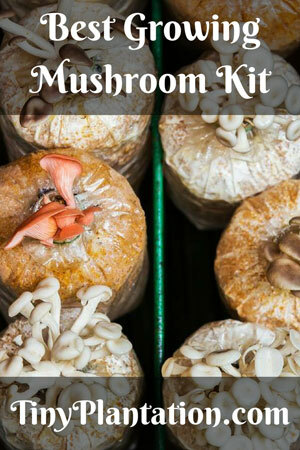 In this article, I will help you find the right spot, or help you increase your chances of picking these mushrooms when their growing season starts. Before stepping out to hunt for morels, check the temperature outside first. Morels show up when it is starting to go around 60 degrees and above during the day while the previous night’s temperature was around 40 degrees. The ideal temperature of the soil where morels pop out is between 45 and 50 degrees. If you have a soil thermometer, that would help you easily find the right spot. South-facing hillsides – South-facing hillsides receive more sunshine and are warmer so they are the places where morels start showing up early in the season. As the spring season progresses, you can go deeper into the north-facing slopes. Old logging sites – Look for places where there are plenty of downed trees as they are the prime spots for morels. These mushrooms tend to grow where there are dying trees and if the ground receives enough sunlight. However, when a dying tree loses its bark, it is no longer conducive for growing morels. Sites of forest fires – Many morel hunters check the Global Incident Map which shows the areas that have suffered from wild fires in the current and previous years. These places are among the best spots to find morels. Part of the forest with a loamy soil – Based on many sightings, morels seem to like loamy soils that are rich in organic matter and with a mix of sand and clay. These soils are well-drained and moist but not very wet. They may also contain sand, clay, decaying matter and calcium or lime, which provide a suitable growing medium for morels. Banks of streams and creeks – If you can find banks of streams and creeks with unimpeded sun exposure, you may also find a lot of morels in these areas. To increase your chances of finding morels, looks for trees that are commonly associated with morels. These trees are ash, elm, poplar, black locust, pine and oak trees. There seem to be a symbiotic relationship between morels and these trees. If you find these trees and if other conditions are ideal, scout the surrounding ground for your delicious treat.If you are not familiar with those trees, it would be good to check how the trees associated with morels look like before going hunting. Forested areas that have vehicles or humans passing through them can trigger the growth of morels. You can look carefully along walking or biking trails as morels commonly grow in these areas. It’s hard to find any scientific basis or study but most morel hunters I know are aware of this. A warm spring rain provides a perfect formula to get morels to show up. That is also when the temperature as I have mentioned above is just right. If it’s summertime and it rained the night before, be ready to head up to the forest for morel hunting. While the steps above can increase your odds of finding morels, it is not a sure guarantee all the time. If you are a veteran, trust your instincts. Years of experience in morel hunting more often allows you to sense if the area you are traversing is a good hunting ground or not. If you are a newbie, you can study this guide and focus first on the places I have listed above. They can help you save a fair amount of time and effort when scouring for unproductive grounds. You could concentrate first on these places and when you have mastered the art of morel hunting, you may then track other lesser-known locations. In an article published at the Outdoor Life, they emphasized the importance of getting help if you are new to mushroom hunting. This is especially true as there are edible mushroom look-alikes that are in fact toxic and not suited for human consumption. You can also watch videos that help you in identifying between the real and the look-alike mushrooms. For morels, you can watch this video for some tips on how to identify the edible from the false ones. In addition, it is a good idea to go with someone who is experienced in morel hunting. That way, you’ll have a feel what it is like and on where to look. As I have mentioned above, when hunting morels or any other type of wild mushrooms, there is no guarantee of a good find. Morels camouflage themselves with their surroundings so even if you are in the right location, if you will not look thoroughly and carefully, you might not be able to find them. It definitely takes experience to catch them. Also, when hunting, it is important to note that the first morels which appear early in the spring are smaller in size. That means, they are harder to spot amidst a wooded background. As the spring season progresses, you will start to find bigger morels which are as flavorful as the smaller ones. It is an ideal time for beginners to start hunting when morels become easier to spot. Don’t hunt unless you are confident that you can identify morels. There are many poisonous and false morels, and unless you know how to distinguish the edible from the look-alike ones, you might end up picking the wrong ones or mixing the false morels with the edible morels. Bring a mesh bag to carry your finds. A mesh bag is a good option as it has large holes allowing for the mushroom spores to spread. The more spores you drop means the more possible harvests in the future. It is easy to get lost in the woods especially if you are not very familiar with the place. It would be wise to carry a map and a compass or a GPS to keep you on the right path. It will not hurt if you can bring a friend along with you who knows the place. Your friend can also be there to assist in emergency situations. Wear long sleeves and long pants, if possible. This will lessen your exposure to mosquitoes, bugs and ticks. You may also use a natural insect repellent as a precautionary measure. Before you go, always inform someone where you are going. This is a good practice so that they could watch out for you in case you have gone very long due to an emergency. I hope this article can help you prepare through the morel hunting season. Remember to check the temperature, soil type, surrounding trees and popular locations of morel sightings. That way, you will have a bigger chance of getting home with your bounty. How did you find this article? If you find it helpful, please don’t forget to share it with others. You may also leave a comment to share your thoughts.